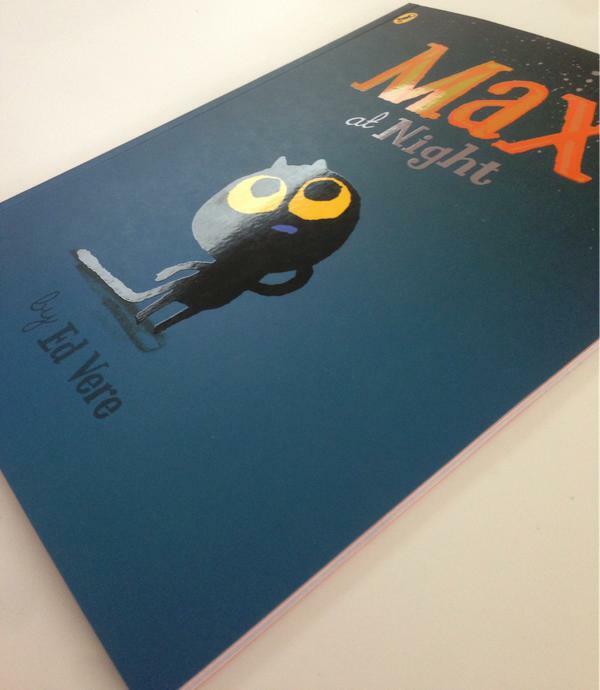 Ed Vere‘s creation is an instantly likeable character from the cover alone, but as you read on, you can’t help but love this wide-eyed feline. Max’s undeniable charm and bravery make for a furry and noteworthy protagonist. 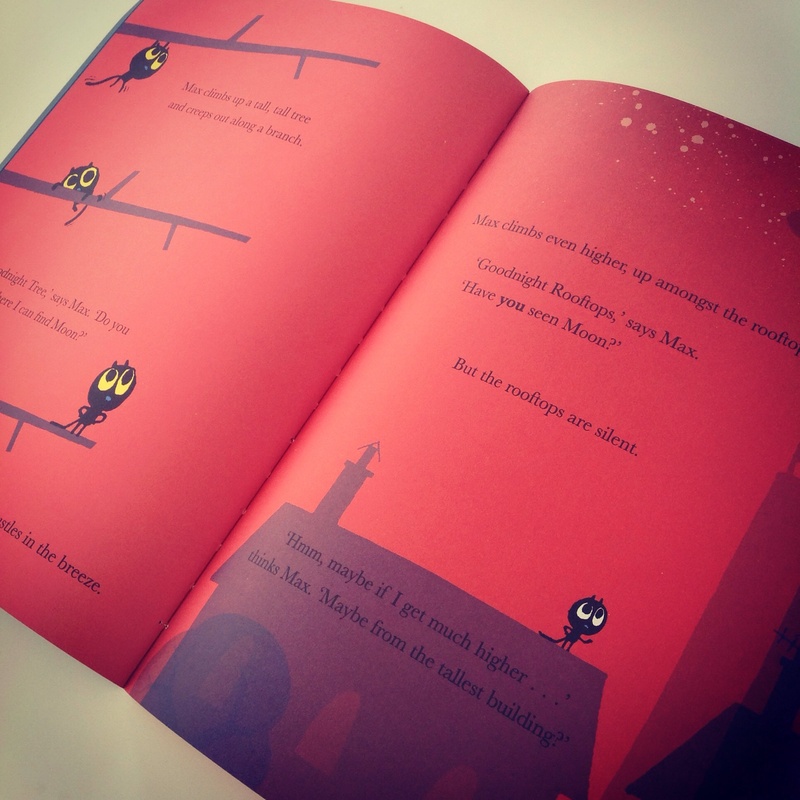 In ‘Max at Night‘ we discover a sleepy Max, ready for bed, way past his bedtime but there’s one thing left to do. He needs to say ‘Goodnight’ to the moon. But where is the moon? With beautifully powerful illustrations and a contemporary, timeless style, this series of books is bound to become a classic bedtime read for children and one adults will undoubtedly relish reading over and over again. 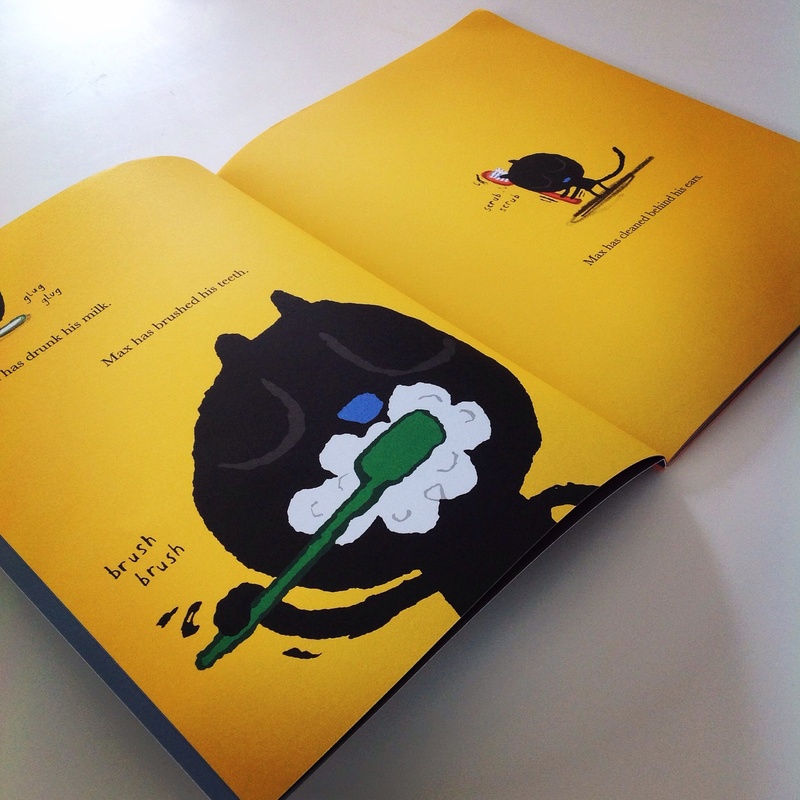 Each clean spread holds a warm and resplendent palette of colours, as we follow our feisty feline on his tranquil, yet intrepid voyage to find the moon. Max decides he needs to get higher in order to find the moon and he climbs up trees, onto rooftops and even up the highest hill to find the illusive moon. Will Max ever find the moon? An adorable story with an equally adorable main character and an ending that can’t fail to melt your heart. Excellent. It’s one to enjoy time and time again!